It is not a new fact that the whole of our world is governed by certain laws and principles. These facts hold true anywhere and every time and to their effects, there is no doubt. One common law is the law of Karma or more closely called the law of sowing and reaping which vividly explains that what you plant and sow as a seed comes back to you in bountiful measures at an harvest time, and the law of cause and effect in physics reiterates this. ‘To every action; there is equal and opposite reaction. One other law of the Universe which is always at work whether we are observant or not is the law of resonance. 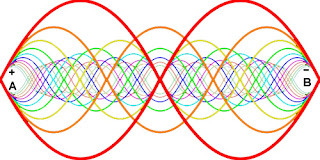 From Physical science, we learn that a body which moves or vibrates at a frequency can make other bodies vibrate along with it once they strike a particular common frequency i.e. the natural frequency of the other bodies. 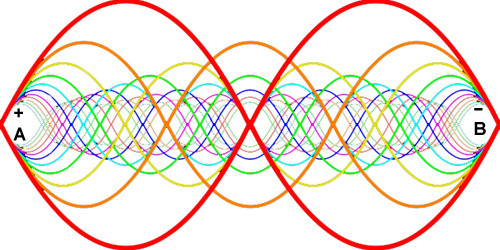 So the law of resonance in the Universe establishes that everybody in the world vibrates at a particular frequency, and so a vibrating body can equally make others vibrate along in a similar pattern if they have the same natural frequency. This could be the basis for sayings such sayings as ‘birds of a feather flock together’ , an indirect expression of this can be seen in an exercise such as placing a cube of sugar in a corner of the room and in matters of seconds or minutes it is soon located by ants who had not been in site initially. The rhythmic heartbeat of man is always at a frequency and as such, it radiates energy, so it is when you enter a room charged up with an emotion you could sense it, right there. This is the reason why an atmosphere of mirth or gladness will be totally different from that of strife and sadness. Why is it that you enter some environments or you stay around some people and your creativity and productivity is amplified to a higher level by greater proportions, And whereas you stay with some other people and the result is opposite? All these are the direct effect of the law of resonance. So everything and everyone could be said to vibrate along with other bodies with which they share the same natural frequency, in other words 'like attracts like'.You may like to call it the law of attraction. Enter the right environment today, locate the right people instrumental to your goals and success! Till a later date… You will Succeed!